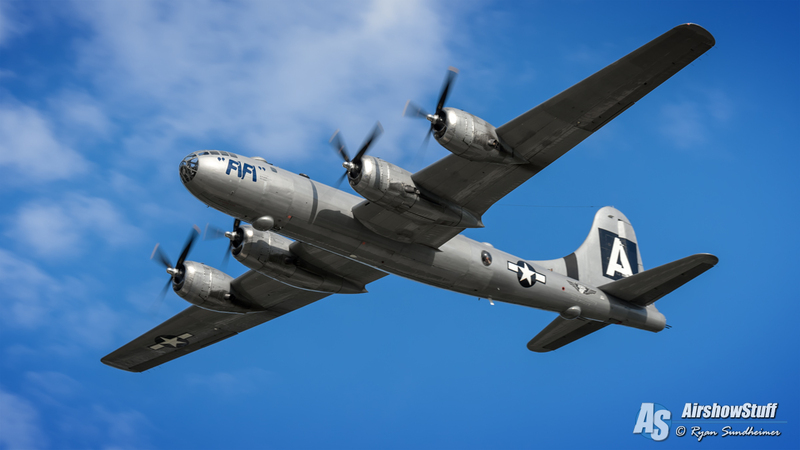 What’s better than a flyover from a B-29 Superfortress? The obvious answer is flyovers from TWO B-29 Superfortresses! AirVenture 2017 was an exciting week for many reasons, but this just may be the best reason of all. 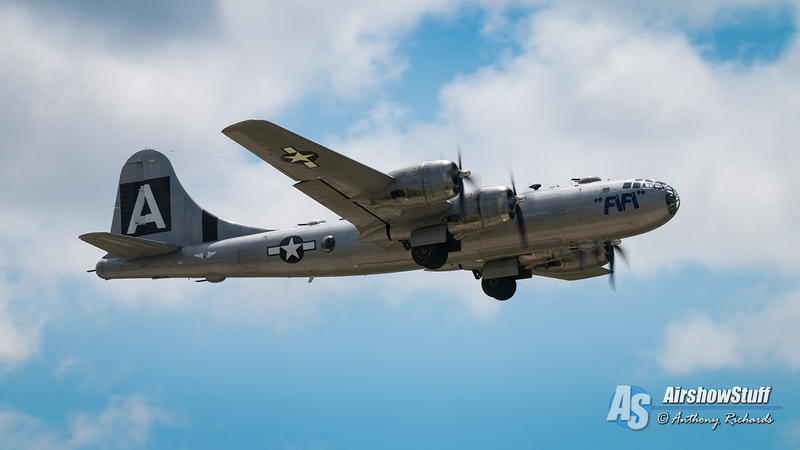 For the first time since 1960, there were two airworthy B-29 Superfortresses sharing the skies, and the AirshowStuff.com crew was there to capture this historic moment. Although “Fifi” has ruled the airshow circuit as the only flyable B-29 for years, “Doc” became airworthy in 2016 and completed test flights in 2017. Attention immediately turned to the first time these aircraft would meet each other, and there was little doubt it’d be in Oshkosh. The two ultra-rare warbirds flew together several times during the week, ultimately flying in close formation together along with numerous other historical and modern bombers for an absolutely astonishing joint flyby!